Travel writer Julia Sullivan lives life in fast-forward. She jet sets to Europe and the Caribbean with barely a moment to blink or sleep. But too many mishaps and missed deadlines have Julia on the verge of being fired. 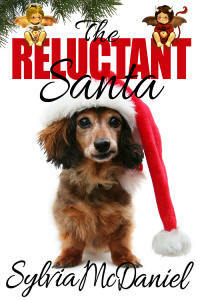 With a stern warning, and unemployment looming, she's offered one last chance to rescue her career. Julia embarks on an unlikely journey to the ‘Heart of Dixie’—Eufaula, Alabama—home to magnificent mansions, sweet tea, and the annual Pilgrimage. Julia arrives, soon charmed by the lovely city and her handsome host, but her stay is marred by a shocking discovery. Can Julia's story save her career, Eufaula, and the annual Pilgrimage? 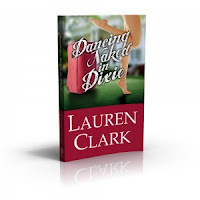 Dancing Naked in Dixie is a fun story with the feel of both “Sweet Home Alabama” and “Hart of Dixie”. This one will take you on a ride from the hustle and bustle of city life to the laid back, everybody-knows-everybody small town, southern life. As you turn the last page, you'll be surprised, and sad, that it's over already. When magazine travel writer, Julia's, career takes an unexpected turn, instead of heading to beautiful, exotic Bali, she ends up being sent to Eufaula, Alabama. She's to write about their annual “Winter Pilgrimage” in a bid by the magazine to start a series on the “local flavor”, off-the-beaten path places of America. She arrives thinking she can make this a quick trip, interview a couple of people and be on the next plane back to civilization but the people of Eufaula have other ideas. And when Julia meets her charming, handsome tour guide, Shug Jordan, she suddenly doesn't mind so very much. The character of Julia is at once sassy, vulnerable and very real. Her life seems to be one of chaos, where she thinks she's in control but she's right on the verge of losing it completely without even realizing it. She's still hurting from her mother's death and blaming her father for things he's done in the past and the pain she feels from both is tangible. Her reactions to different situations are realistic enough that I found myself either laughing out loud or tearing up, and her internal dialogue is hilarious. As a native New Yorker, her response to the “hospitality” of the deep south was absolutely priceless, and the situations that she somehow manages to get herself into had me laughing and sometimes cringing in sympathy at the same time. The other characters, and the setting, in this book are so expertly written that you can picture the town, the people and the atmosphere. It makes you want to visit, or move to, the deep south so that you can be a part of this world. Each character has their own quirks and personality that makes this little town comes to life in your head, leaving you wanting to know them. Well, most of them anyway. Usually, when I can say this about a book, I have a favorite secondary character that won me over more than the rest. I honestly don't know that I could pick one in this book because they are all so distinct from each other and so much fun that I loved them all. Turns out, Julia ends up feeling much the same way. And, if you've ever spent any time in the south, you will understand the culture shock that she feels when she finally does make it back to the city. The plot had enough things going on in it that it kept moving at a good pace and the culmination of most of these things at the end totally surprised me. I'm usually pretty good at predicting the ends of movies and books, but this one got me. I loved it! There is an element of romance in the book, but it's a sweet romance, much like your first crush turning into your first love. We also get a nice wrap up at the end, with both the romance, and a couple other subplots that you want to see how it works out. That said, however, I could see this one turning into a series with the town, and the people, as the focal point. It would definitely be a fun series that I, personally, would love to follow. From Julia's first taste of sweet tea and visit to the local diner to being given items “on the house” that are a staple in the south but foreign to most New Yorkers to every single “bless your heart”, this story was a fun book that had me laughing or crying throughout. I was sad when I turned the last page. I am so glad I had the opportunity to read this book. Lauren Clark is definitely going on my watch list. Her voice is distinct and her writing fun – just the kind of author I love! I will be highly recommending “Dancing Naked In Dixie” to anyone willing to listen to me!